It is downheartedly sad to know that an increasing number of animals are already suffering from the risk of extinction. There are many reasons that cause the decline of their existence such as the changes in their habitat and the environment. A time will come when the next generation will no longer be able to see the different species of animals that we currently enjoy co-existing with. Here are the animals that are sadly going to depart from this world soon. This species is one of Earth’s rarest animals that can be found in Queensland, Australia– specifically in Epping Forest National Park. 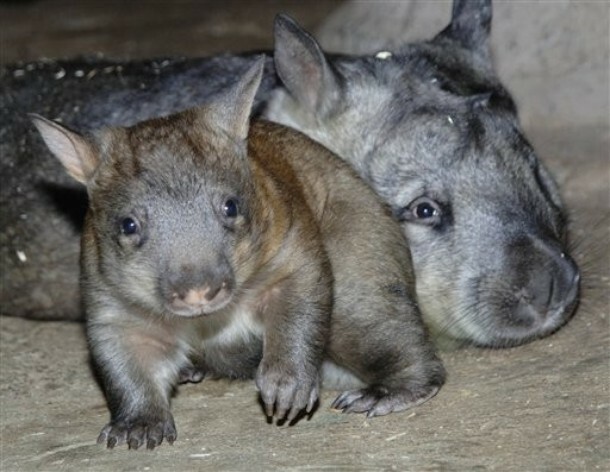 Presently, the estimated number of northern hairy-nosed wombats is about 115. The sense of sight of this animal is very poor; that’s why they use their nose for survival and of course when searching for food, particularly in the darkness. You can find this Pygmy three-toed sloth at a small island in Panama coast, namely Isla Escudo de Veraguas. According to a study conducted in 2011, there are about 79 of them that are still living and can be found in the wild. This endangered species can be found in Colombia. According to El Dorado Nature Reserve, its last recorded appearance was in 1898, before reserve researchers sighted it in 2011 again and studied the red-crested tree rat. This creature measures 18 inches, similar to the size of guinea pigs, but they will soon become extinct because their habitat has been destroyed. This species can be found in the Black Seas, the Mediterranean and the Northern Atlantic Sea. One of the reasons they may become extinct is due to commercial fishing. Only a small number of Angel Sharks can be seen in the Canary Islands and the southern Mediterranean. This creature hides under the sand while waiting for fish swimming nearby. The angel shark can swallow small fish. This is one of the Earth’s rarest animals living in Boni-Dodori Forest located in Kenya, but its habitat was destroyed due to deforestation and expansion. This extinct animal can be found in the wilds of Southeast Asia. 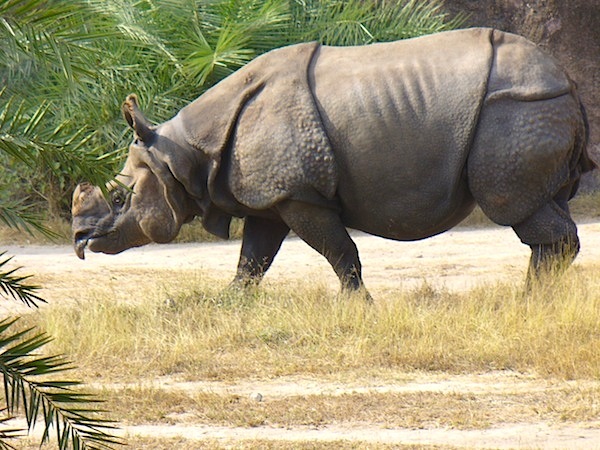 There are approximately 60 rhinos in Java that live at the Ujung Kulon National Park. The horns of rhinos have a market value of about $30,000. According to research, the estimated number of this endangered tortoise is between 440 to 770 throughout the world. Their common habitat is in Madagascar in the region of Baly Bay. 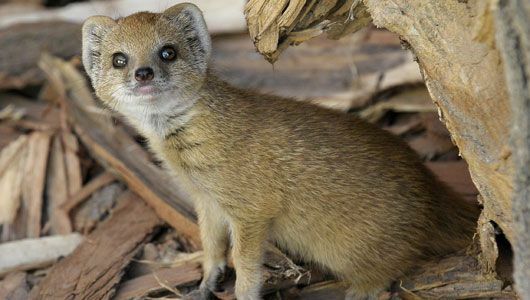 One of the reasons this species is close to extinction is because they are used for pet trade, but it’s illegal and prohibited. The main habitat of the Gooty Tarantula is in Sri Lanka and Southeastern India. The population of this species reduced due to deforestation, civil unrest and firewood collection. It also resulted in a loss of habitat. This creature lives in the highly-threatened areas of Madagascar in the Lake of Alaotra. It is estimated that the number of Hainan Gibbons that remain is only about 23. That’s why it is considered to be the world’s rarest animal living in the South China Sea. You can find this creature flying around Cuba, particularly in Cueva La Barca. But due to destruction caused by humans to their habitat, only about 100 Cuban Greater Funnel-Eared bats are left. The ibis originated in Syria, Turkey and Morocco. Presently, the numbers of this animal have reduced and it is considered to be endangered as a result of hunting, habitat destruction and degradation. Shrews like this are widespread in Eastern Mexico, but their population degraded due to habitat loss caused by logging, agriculture and cattle grazing. This species commonly originated in forests such as Cote d’Ivoire and Ghana. However, it has now become one of the rarest animals on Earth. The sweeping decrease in the population of this creature is due to habitat loss and hunting. There are about 779 of these birds living in Brazil, but their existence is threatened because their habitat was disturbed by expansion of recreational facilities and agriculture. The Rio Pescado Stubfoot Toad reappeared in 2010 in Ecuador. The last time it was seen was in 1995. 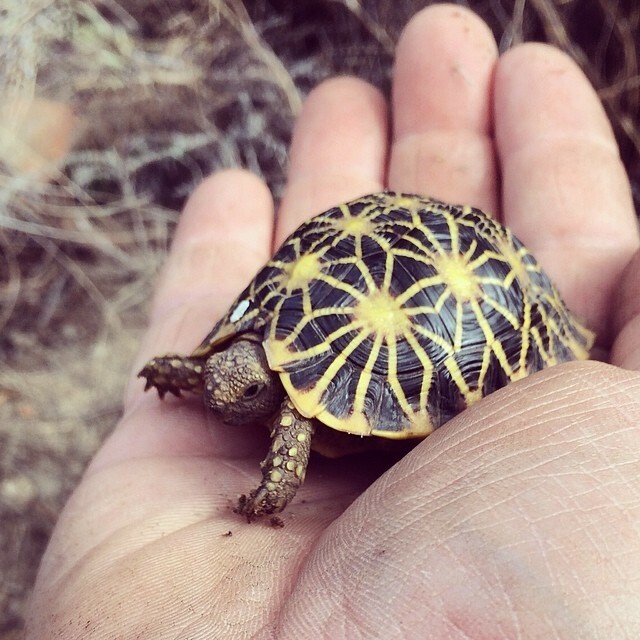 The Geometric tortoise is one of Earth’s rarest animals. It is commonly seen in South Africa. However, due to predation and habitat destruction, its existence is threatened. For a very long time, this species was considered extinct, but it was recently found in Hellshire Hills. 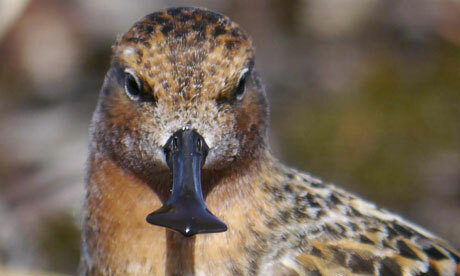 This small wader commonly lives on the northeastern side of Russia. However, research revealed that less than a thousand of its mature species were remaining due to the loss of breeding grounds as well as its wintering and migratory locations. This is one of the species of salamander that is prevalent in the Zagros Mountains of Iran. It is also popular for pet trade and has a market value of $300, particularly on some Ukrainian websites. This species originated from Mexico and California, and is considered to be the smallest dolphin in the world. Their number is continuously decreasing and threatened by fishermen who use gillnets. The habitat of this creature is in Sao Paulo, Brazil. It was lost due to human invasion. 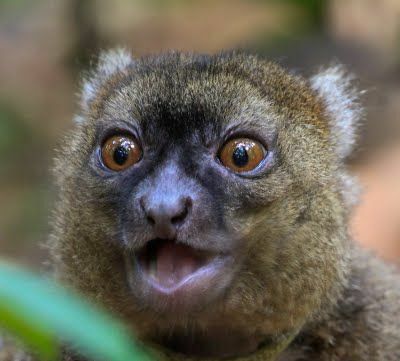 This is one of the most endangered animals in the world that is commonly found in Madagascar’s rainforests. The decline in its population is due to the expanded agricultural development, illegal logging and mining. This animal’s diet consists mainly of bamboo. Tarzan’s chameleon was first seen in the forest of Madagascar in 2009, but due to rampant deforestation, the population of this creature was threatened and has declined. Saola was discovered in the mountains along the borders of Laos and Vietnam in 1992. However, many hunters were pursuing destructive activities in the habitat of this species that resulted in the decline of their population. Vietnamese consider this animal sacred. But since it has become endangered, most of these species survive in confinement. The population of this species is composed of approximately 100, existing in the ponds located in Mississippi. But the numbers are on the decline due to loss of the Dusky Gopher frog’s natural habitat such as longleaf pine and wetlands. This is another species that is considered one of the rarest animals on the planet. It has become almost extinct due to the reduction, poor quality and insufficiency of freshwater. This animal is commonly seen standing on the heads of hippos. Some mature pochards were living in the volcanic lakes of Bealanana in Madagascar. The prevalence of slashing and burning in agriculture, fishing and hunting were some of the reasons for the decline in the numbers of this almost-extinct animal. This creature is living in the grassy plains along the border of Somalia and Kenya. Presently, the total number of Hirolas recorded is approximately 1,200. There are less than about 300 Sumatran rhinos that are living in the wilds of Indonesia and Malaysia. They are most sought after by hunters because of the horns that are used for formulating traditional medication. This butterfly is commonly seen in the forests of Cerrado, Brazil, but it became endangered with the passage of time. This species is usually seen in California and Oregon. Aside from the loss of habitat, the decrease in the population of this creature has been caused by a disease that commonly affects the commercial breed of bumblebees in particular. You can find this species in the subtropical and coastal tropical waters of Atlantic and Indo-Pacific oceans. Taking this creature into captivity is strictly restricted in northern Australia. This breed of monkey is widespread in Northeastern Vietnam, but the population declined due to obliteration of its habitat and intense poaching.